On November 14, Georgetown University President John J. DeGioia announced the university will rename two buildings on campus named for two 19th century Georgetown University presidents: Thomas F. Mulledy, who in 1838 arranged the sale of 272 slaves from Jesuit-owned Maryland plantations and used the profit to pay Georgetown’s construction debts, and William McSherry, who also sold other Jesuit-owned slaves and was Mulledy’s adviser. The sale ignored the objections of some Jesuit leaders who believed using the money to pay off debt was immoral and their demands that families be kept together. Brown University in Providence, Rhode Island was the first Ivy League university to move forward with a large-scale investigation of its history under the leadership of former president Ruth Simmons. In 2003 she appointed a Committee on Slavery and Justice to learn more about Brown’s past ties to slavery and wealthy benefactors involved in the trans-Atlantic slave trade. The Brown family included slave owners and slave traders as well as at least two members who became active abolitionists. The committee learned 30 members of Brown’s governing board owned or captained slave ships and slave labor was used for some of the school’s construction. 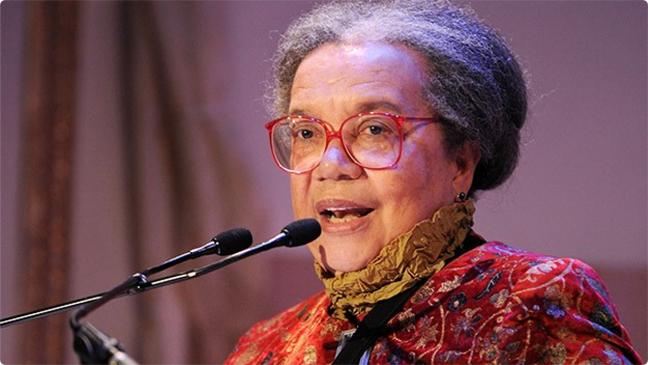 Marian Wright Edelman is President of the Children's Defense Fund whose Leave No Child Behind® mission is to ensure every child a Healthy Start, a Head Start, a Fair Start, a Safe Start and a Moral Start in life and successful passage to adulthood with the help of caring families and communities. For more information, go to www.childrensdefense.org.